Since the end of World War 2, Jeep has been regarded as one of America’s premier vehicles. They’re reliable, strong and inherently American. Also, they sparked the production of SUVs all around the world. They were the first vehicles of their kind and are the reason for the existence of modern sports utility vehicles. What started as a military vehicle that helped win the war is now an all-around dependable vehicle good for camping trips, road trips and off-road adventures. The Jeep can handle a lot of action, but sometimes vital components fail and require repair. 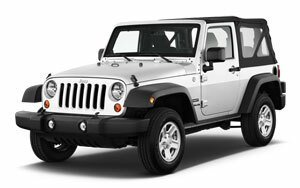 We specialize in Jeep repair and services in San Francisco and surrounding communities. It’s not uncommon for our customers to travel long distances for our cost-effective and reliable Jeep solutions. We keep our customers updated with the progress of their vehicle and strive to achieve exceptional customer service. My mechanic provides other Jeep services, too. We do oil changes, preventative maintenance, fluid flushes, smog checks and more. Our Jeep customers refer to our shop at their one-stop shop for everything Jeep. We love seeing all our customers take care of their Jeep and we look forward to seeing you and your Jeep at My Mechanic soon!